When you leave a comment on THIS post by 6 p.m. CT Sunday, October 21, 2012 you'll be entered in the DRAWING for a copy of the book I review below. If you mention in your comment that you’re a new or old follower (see in the left column “Join This Site” and “Follow by Email”), I’ll add your name a second time in the drawing. You can read details about my book giveaways here. 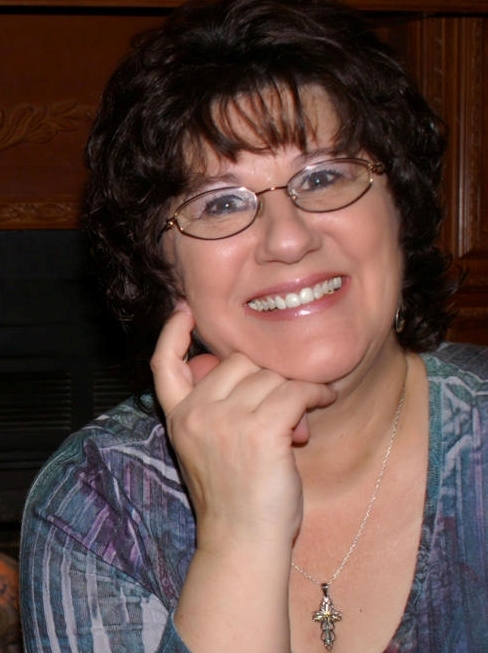 Today we have guest blogger, Delia Latham to talk about her contribution to the book, Heart’s Haven. Delia is offering to the winner of my drawing a PDF copy, or if the winner prefers, a Nook or Kindle. Welcome, Delia. Born and raised in Weedpatch, California, Delia Latham moved to Oklahoma in '08, making her a self-proclaimed California Okie. She loves to read and write in her country home, and gets a kick out of watching her husband play Farmer John. She's a Christian wife, mother, grandmother, sister and friend, but especially loves being a princess daughter to the King of Kings. She loves Dr. Pepper and hearing from her readers. Contact her through her website (www.delialatham.net), send an e-mail to deliaATdelialathamDOTnet, and/or “Like” her on Facebook. 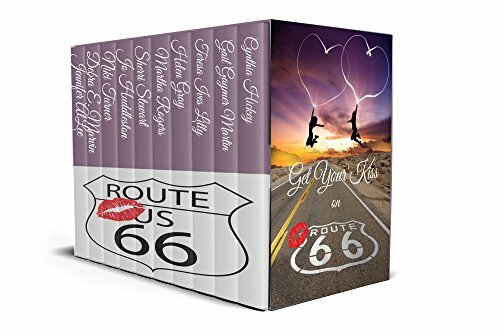 Delia writes inspirational romance and women's fiction, and is currently contracted through White Rose Publishing and Vinspire Publishing. Recent weeks have found me inundating cyber world with posts, interviews, “news articles,” excerpts—if I thought of it, it’s out there…all focused on Heart’s Haven. Just a fictional community of rental cottages in a fictional town in a real state—Texas. It’s populated by fictional characters with fictional problems…either serving or learning to serve a very real God. And that’s what makes these stories worth reading. I find it amazing that God can make a wonderful, readable, enjoyable story out of absolutely anything. (Why does that amaze me? He did, after all, create an entire universe out of exactly nothing!) Trust me when I say that it is God who writes my stories. I have neither the imagination nor the talent—and certainly not the want-to—to write anything without Him. As for Heart’s Haven, my contribution premieres the four-book collection. Jewels for the Kingdom is the story of a beautiful young woman whose unsavory past holds her in its condemnatory grip. She’s given her heart to God and serves Him by “adorning the bride of Christ.” She does so with beautiful, self-designed, “Spirit-filled” jewelry, along with the occasional “found” piece that speaks to her heart. Her business name is my title: Jewels for the Kingdom. Pia Peretti serves Christ with her whole heart. But what is a sincere Christian woman supposed to do with a past that shames her, and for which she’s never forgiven herself? Pia thinks romance is out of the equation. She refuses to be unequally yoked with a non-believer. But what Christian man would yoke himself with her…a woman with a promiscuous past? She’s convinced herself she’s perfectly happy living a life devoid of romance. But when she meets David Myers, the new minister at her church, and finds herself falling head over heels in love, misery comes calling. Not simply a godly Christian man, David is, of all things, a preacher. What preacher in his right mind is going to want a woman with no claims to purity? Pia hasn’t quite grasped the extent of God’s forgiveness—the reality of what it means to be washed white as snow. Sometimes I wonder if any of us have truly grasped that wondrous reality. Because it is real. Unlike we puny humans, who sometimes forgive, but rarely (never) forget, God does—completely. He covers all our ugly sins beneath the blood of Jesus Christ, and then He tosses the whole mess deep into the Sea of Forgetfulness. Eradicates it from His memory. When we sink into our pitiful human pits of despair and come crawling back to ask forgiveness again and again for past sins—sins for which we’ve already been forgiven—He has no idea what we’re talking about. On the one hand there’s sin and shame, unhappiness and misery. Pasts that can’t be changed and people who never forget them. Sounds real enough, doesn’t it? On the other hand, there’s God: love and happiness, perfect joy and peace, a future too bright to imagine or believe. Just too good to be true, right? Or is it perhaps...completely unbelievable enough to be real? I write fictional novels. I love fiction, love creating worlds to which my readers can escape and forget reality for a little while. But I live for a God who seems too good to be true…but is! I’m far from perfect, but I’ve been completely, uncategorically, absolutely forgiven by that God. My past is—well…what past? I have only the very real promise of a bright and beautiful future—made by a very real God. Micah 7:19—He will turn again, he will have compassion upon us; he will subdue our iniquities; and thou wilt cast all their sins into the depths of the sea. Pia Peretti’s past could destroy her future. Thanks to her pre-Christian lifestyle, she can’t marry a believer, and she won’t marry a non-believer. Minister David Myers wants to help Pia release her guilt and trust that God has forgiven her...but the young minister is working through his own trial of faith. After a failed counseling session with a wounded soul, David's confidence is shaken. He accepts a new pastorate, and moves to Angel Falls to find a haven for his wounded heart. Is it possible these two hurting hearts are meant to mend each other’s brokenness with some divine intervention? Jewels for the Kingdom is available through most online booksellers, including the following: Publisher-direct, Barnes & Noble, Amazon, Christian Book. Delia can digitally sign e-Books! Readers just need to visit kindlegraph.com and click on "Request Kindlegraph" under their choice. Remember: leave a comment on THIS post by 6 p.m. CT Sunday, October 21, 2012 and you'll be entered in the drawing for a copy of Jewels for the Kingdom by Delia Latham. You must be eighteen, have a U.S. mailing address, void where prohibited. Please, please remember to leave your email address so that should you be the winner I can get in touch with you for your mailing address. Labels: Delia Lathan, forgiveness, Heart's Haven, what's real? I've known a counselor who 'failed' a client and the anger and then grief that followed was enormous. This sounds like a fabulous read. Please add me. Linda, you're entered. Thanks for reading and commenting on my blog. I appreciate you being a follower! DesertRose - Thank you for stopping by! Good luck in the drawing. This sounds like a book I'd like to read. And it's set in Texas, a place I've always wanted to visit. I'm a follower. Pam, maybe you can read this book and make believe you're in Texas. Thanks for reading my blog and leaving a comment. I appreciate you being a follower. Thanks Jo for this interview. I am a follower of your blog. Thanks for the two chances. Maxie, you're welcome. So glad you're a follower and will get that extra chance to win. Thanks for visiting today and leaving a comment. Good luck in the drawing, Maxie, and thanks for stopping by! Hi, Karen! Thanks for stopping by - and good luck in the drawing. karenk, glad you dropped by today and left a comment. Thanks for being an follower. Jackie, I appreciate your being a follower! Thanks for reading my blog and leaving a comment. Good luck in the drawing, Jackie! So glad that through our Savior we can all be forgiven! Patty, amen to that! Thanks for coming by and leaving a comment. Thank you for introducing me to a new-to-me author. The book sounds like one that I would enjoy. Kay, you're welcome. Thanks for coming by today and leaving a comment. Jewels for the Kingdom sounds very good. Thanks! You're welcome. I appreciate your being a follower. Thanks for reading the blog and leaving a comment. So am I, Patty! So am I! I would love to win a copy of Jewels for the Kingdom. I would love for you too win a copy, Judy. :) Good luck! Judy, you're welcome. Thanks for being a follower of my blog. I appreciate your support and leaving a comment. I'm glad you think so, Veronica. :) Good luck in the drawing! This sounds like a great story! Thanks for sharing! I follow by email. I hope you'd love it, Jes. Thanks for stopping by, and good luck!